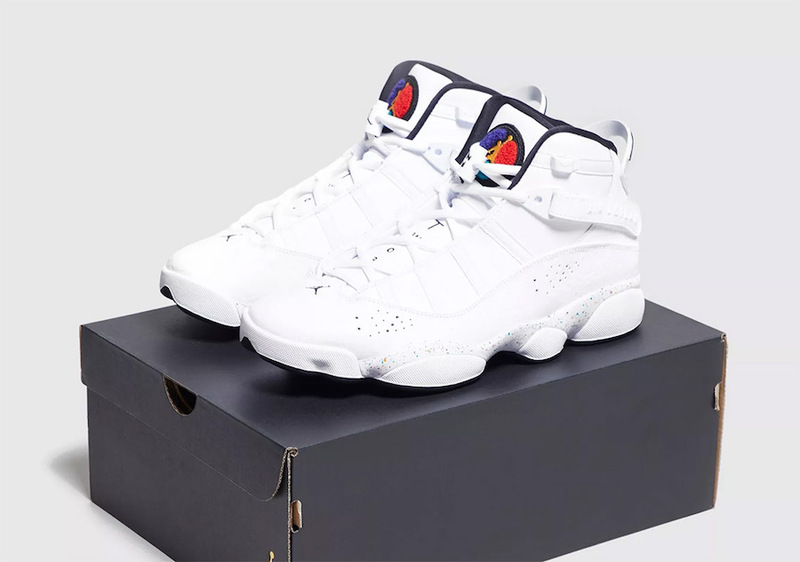 The famous “Air Jordan 6 Rings” was specially designed for the victoray of 6 NBA Championships of the greatest player Mickael Jordan. 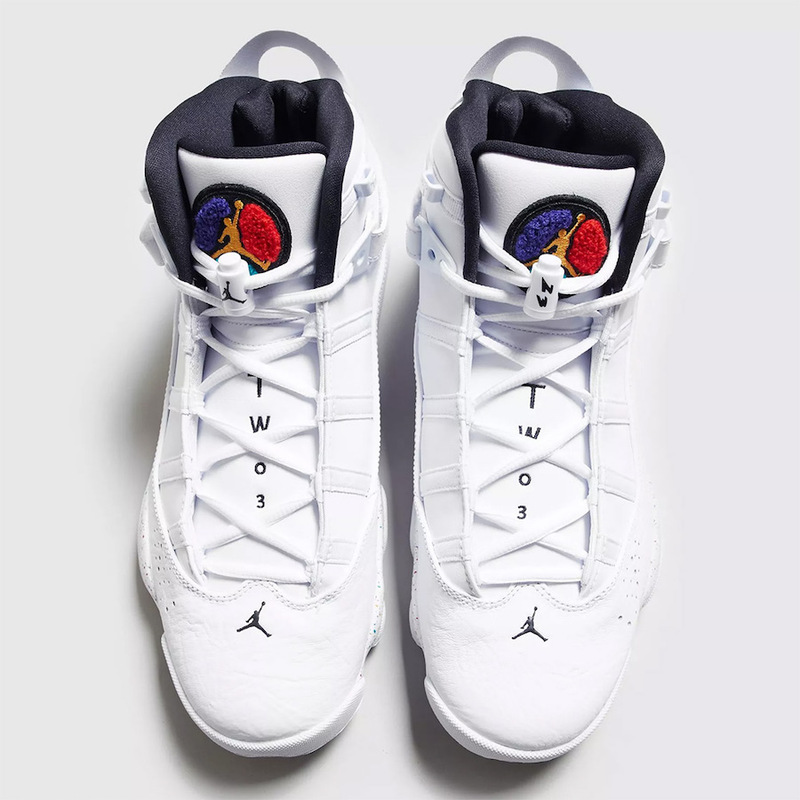 This Jordan was inspired of the Air Jordans which MJ wore. 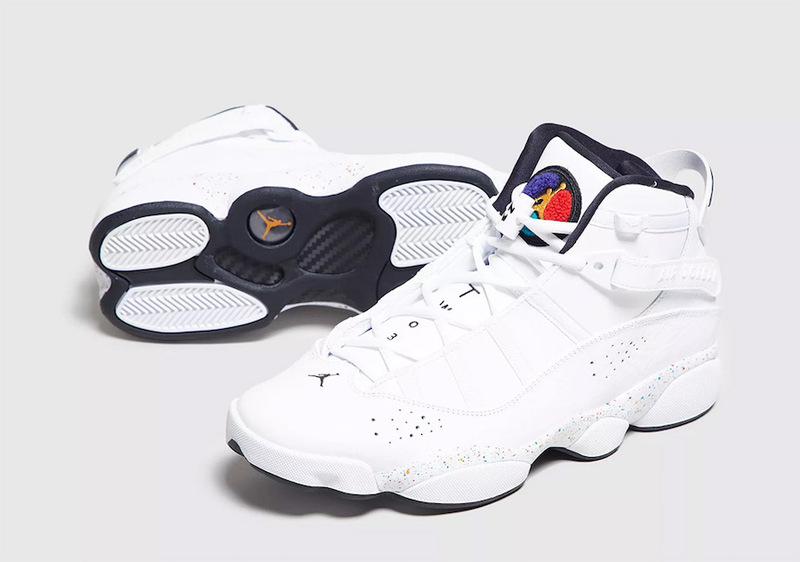 This upcoming Jordan 6 Rings features a white upper, while Jordan 8- inspired tongue comes covered in red, gree, purple, and golden yellow, adding a luxrious look. 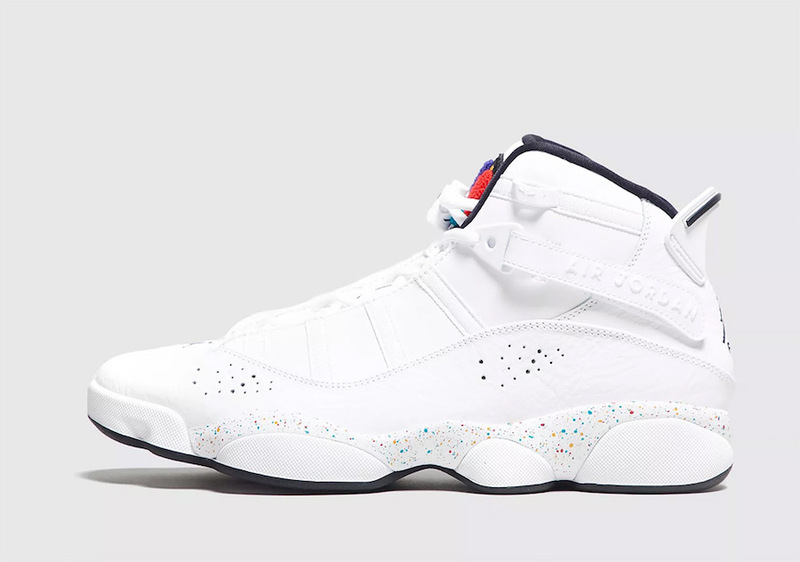 A unique speckled midsole tops-off this clean design. Take a detailed look at these images and think to grab a pair now at select retailers like size?.